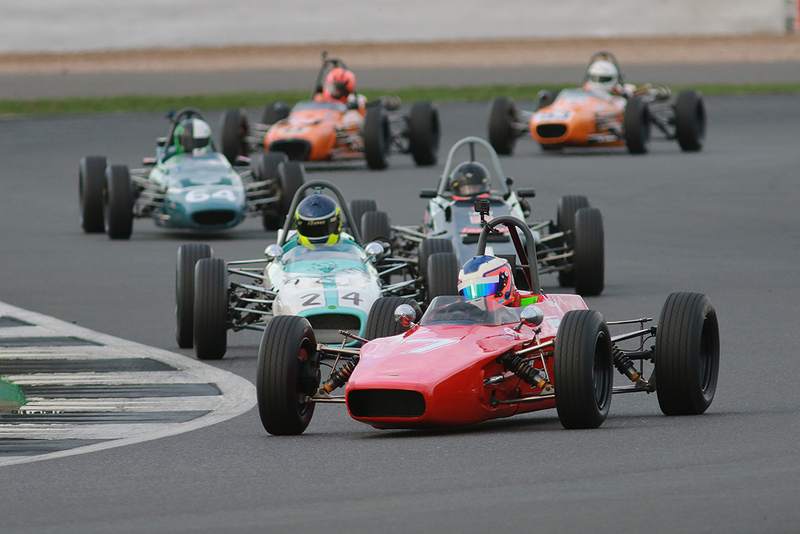 One of the most popular of the HSCC’s single-seater categories, the Historic FF1600 Championship is for cars built and raced before 1972. These are cars from the glorious early years of Formula Ford racing and the cars offer close, exciting and affordable single-seater racing. Historic Formula Ford is perfect for newcomers and a special novice class is part of the championship. The HSCC Historic Formula Ford Championship is open to Formula Ford 1600 cars originally built and raced as Formula Ford 1600 cars prior to 31/12/71. Specification must be original with only the addition of current safety requirements. There is also a special Novice class within this championship for competitors who have no previous race or kart experience. All cars must have current HSCC Vehicle Identification Forms.